“Remembrance of God is polish for the heart. I seriously needed such beautiful quotations. From writing that Blog post for the competition at the eleventh hour till receiving an e-mail that I won was like one of my dream come true tbh. 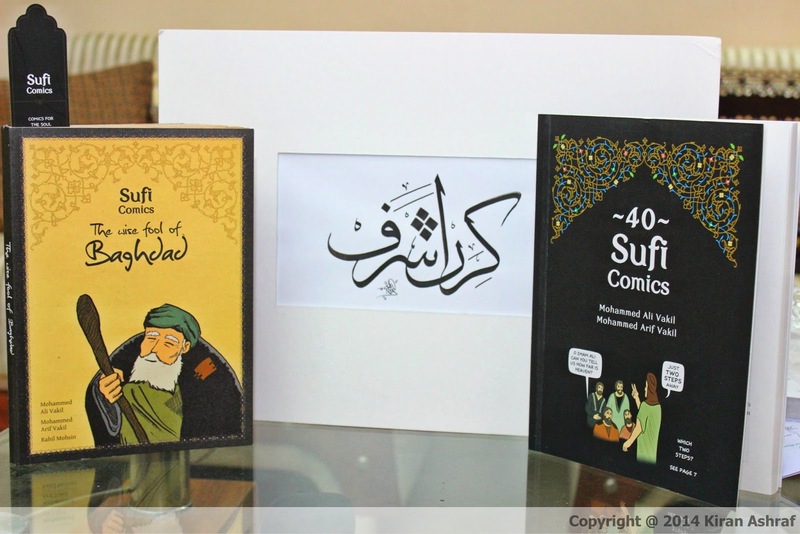 It may seem casual to most but for a fan its a big deal :) Sufi Comics, since the day I have first found about them, have been among my most favorite. Mainly because the whole idea behind it is very inspiring. Islam and Islamic values in today’s world have been quiet misunderstood. Even Muslims, particularly the young Muslims aren’t even aware of much of our religion and incidents related to Prophets, Sahabas (read: Prophets friends) and Aulia-e-Karaam (read: Spiritual beings) With the growing advancement in the world, Sufi Comics is a breath of fresh air as it has used the famous comic book medium to pave the way for people to have an insight about Islam. I congratulate them for taking the initiative and pray that Allah Subhanawatalah bless them with success and accomplishments in the coming years. For now on, I will be hooked to the comic books till I reach their last page and will be re-reading them again soon.